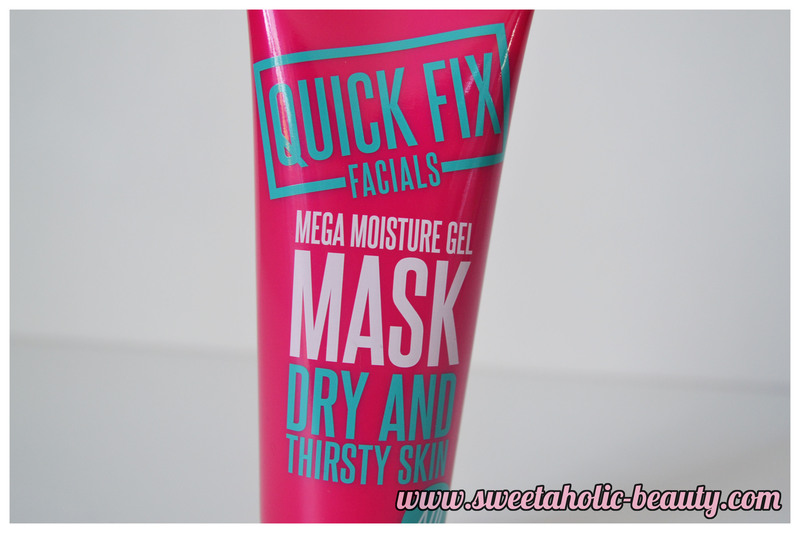 A little while ago, I was offered to try out a new brand to Aussie supermarket Woolworths called Quick Fix Facials. Who doesn't love the sound of that? I was thrilled to give all three versions available a go, and since I've been enjoying them over the last month or so, I figured it was time to share my thoughts! 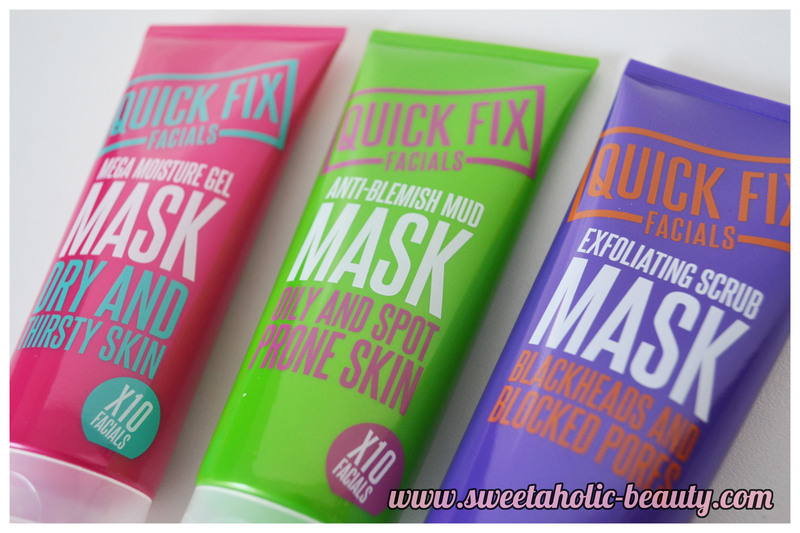 There are three version of the Quick Fix Facials available; the Exfolating Scrub Mask, the Anti Blemish Mud Mask, and the Mega Moisture Gel Mask. As you can probably tell from their names, they each do different things. They also have super eye-catching packaging, so you definitely can't miss this in the supermarket aisle! As the name suggests, this is for problem skin. I don't have a lot of acne but I do get a lot of blackheads, which are incredibly annoying! I loved the sound of this mask, and tried it out first! I'm a big scrub fan, so anything that combines a mask and a scrub is a winner in my books. The mask itself was a little bit gritty, which is what I was expecting for something that was supposed to exfoliate as well. The first time I used it, I didn't follow the instructions. But after actually reading the back of the tube, it says to apply to damp skin and massage into problem areas, leave for 5-10 minutes and then wash off. When I actually followed the instructions, I was really pleased with the result. My skin felt super smooth and exfoliated, and after using it a few times I did notice a reduction in blackheads! Back in the day I would say that I have oily skin, but as I grow older I'd say I now have combination skin. Some of my skin does get pretty oily, so this was my next choice, as it's for oily and spot prone skin. This particular masks contains Dead Sea mud and tea tree oil, so this would be a great mask for those suffering from really oily skin. The tube says to only use this once weekly, unless you're super greasy, then use it maximum twice a week. I followed these instructions (this time!) and found it really did help keep the oil production under control. I found this particular mask to be fairly thick on the skin, so it really felt as though it was doing something! This is something I would have usually avoided, being for dry skin, however as I mentioned now that I have more of a combination skin type, I'm finding dry patches every now and then! I actually tried this when I was a bit sick recently - when I'm sick, my skin gets dry and awful! 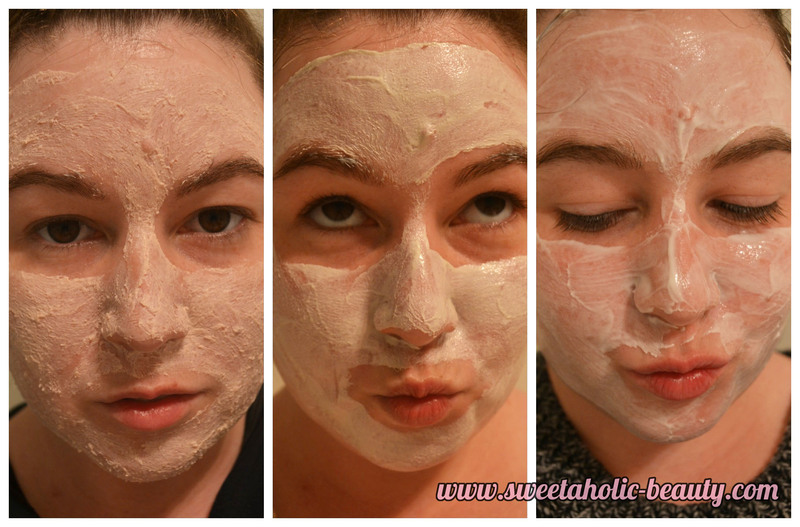 This mask was a little different to the other two, and wasn't clay based, so it didn't go hard on my skin. It was like applying a moisturiser really thickly and then wiping it off 5-10 minutes later with warm water. Usually when I use moisture masks for my dry patches, I end up with super oily skin. Which I hate. However when I used this particular mask, I found that it didn't make me oily or greasy, but did soften my dry patches. I would probably only use this one once a month or so for my skin type. 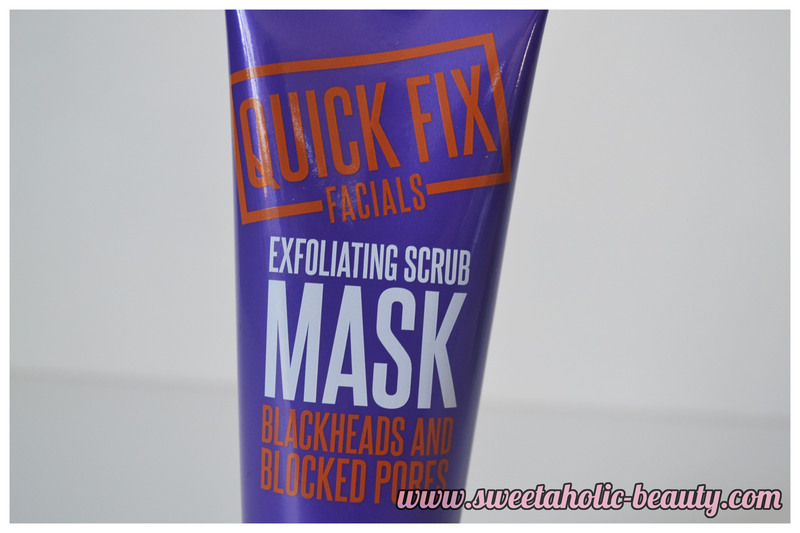 I was pretty happy with the results of the Quick Fix Facials masks, they did exactly what they said they would do and they did them quickly. I saw a significant change in my skin after the use of just one, but an even better change in my skin with prolonged usage! I'm also thrilled to see that you get at least 10 facials in each tube (but that would be being very generous in application!) for a low price of just $8.95. You can pick up these facial tubes from Woolworths, so why not just throw one in your trolley during your shop! Overall, I think these are great. Once I finish them off, I'll definitely be buying more. (Which means I'll actually have to go into a Woolies... I'm more of a Coles girl myself!) They're cheap, they're perfect for a pamper night, and they feel and smell great! 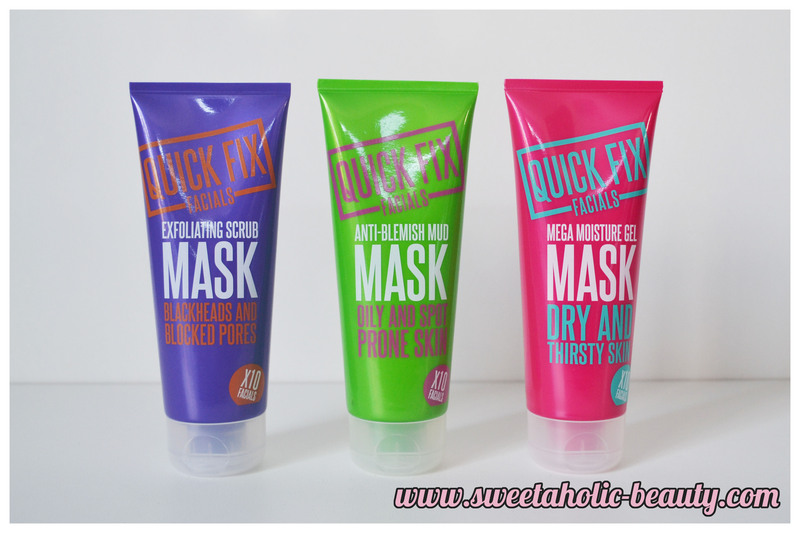 Have you tried any of the Quick Fix Facials masks before? If so, what are your thoughts? These sound great! I like that they have something for all skin types - I'm not sure which one I would try out first! Okay.. I'm sold. Need to try them all. I feel like the moisture one will be fantastic for Winter! I work at Woolies, but have avoided the masks haha. I bought the mud mask as an impulse buy on a very rare stop by Woolies. Definitely my new favourite mask! And an absolute bargain! Hmmm...interesting. I have seen these products but have not tried them yet. I guess This is the right time to grab one and try it out. They seem like great products based on your review. Oooo, this sounds nice! I'd have to try out the exfoliating and the mega moisture one especially now that it is winter in Australia. I've been thinking about getting some face masks lately. 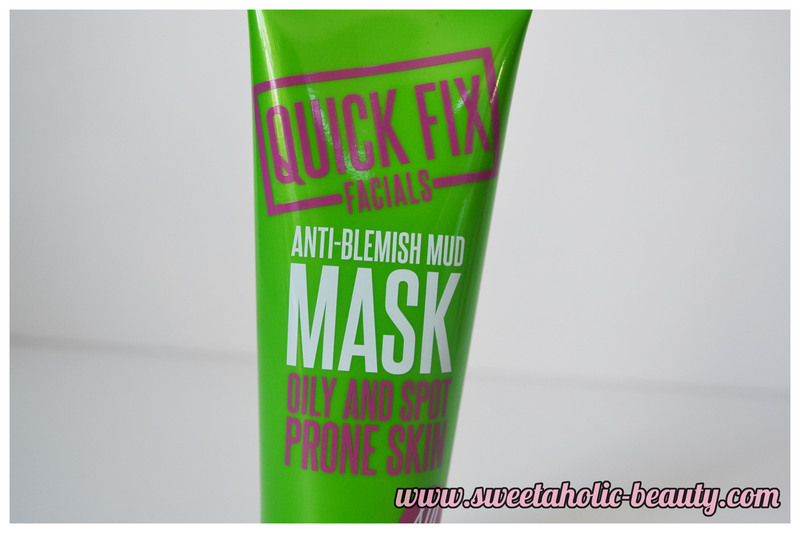 I hardly ever go to Woolies, but I think I'll make a trip to check out the mask for dry skin. They're so cheap I may as well give it a go!